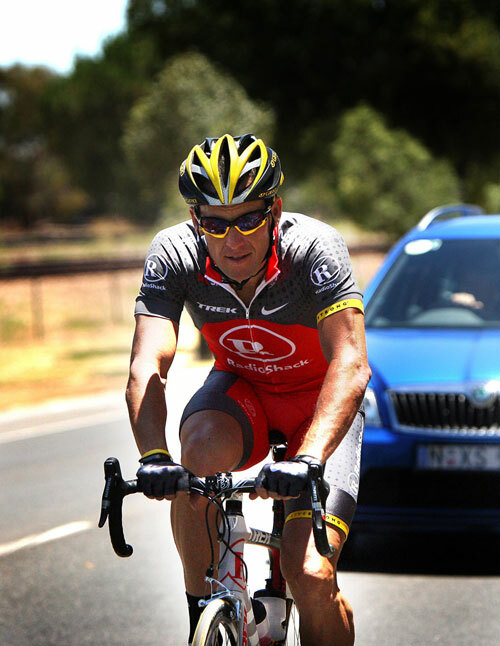 Lance Armstrong joined his new RadioShack team-mates for a training run on the roads around Adelaide, South Australia, as they prepare for the season-opening Tour Down Under, which starts next week. The seven-times Tour de France winner looked relaxed as he chatted to team-mates during the ride after touching down in Adelaide on Wednesday. Already the Texan has been dominating the headlines in Australia, from ‘backing’ South Australia premier Mike Rann’s re-election campaign to announcing a $250,000 package of aid from his LiveStrong foundation to earthquake stricken Haiti. 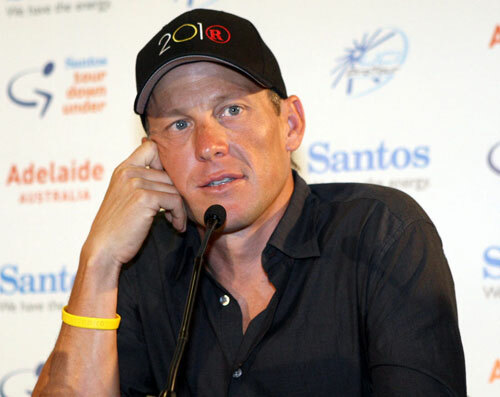 Speaking at a press conference on Wednesday, Armstrong said that he felt in much better shape than this time last year, when the Texan made his official comeback to road racing after coming out of retirement. RadioShack is in the hunt for a stage win or two at the TDU with its Belgian sprinter Gert Steegmans – so we may be in for the spectacle of Armstrong heading up Steegman’s lead-out train. The 2010 Tour Down Under starts on Tuesday, January 19, and runs until Sunday, January 24. The stage race is preceded by the one-day Cancer Council Classic criterium in Adelaide on Sunday, January 17. We will be covering the race in full here on www.cyclingweekly.com, with daily stage reports and photographs from Graham Watson.